La Cabane is impressive to say the least. 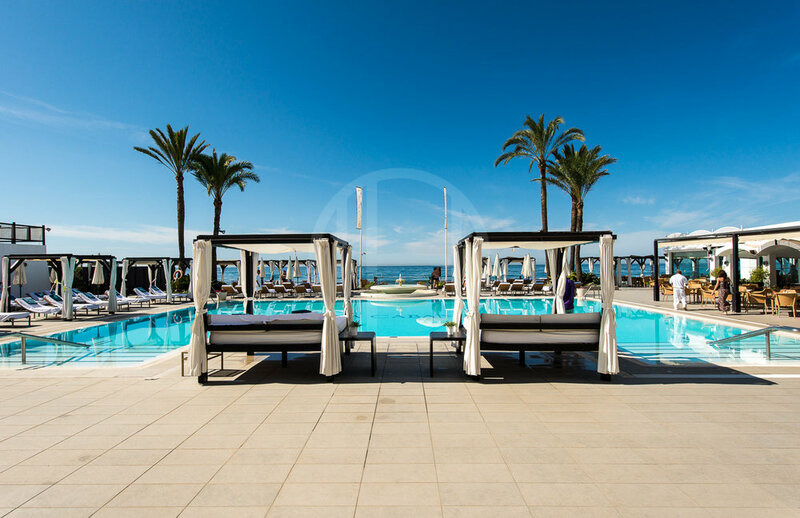 It is without doubt one of the most exclusive places of the Costa del Sol. Its location overlooking the Mediterranean Sea has magnificent panoramic views. We feel it is the ideal place to enjoy a day of rest and relaxation. 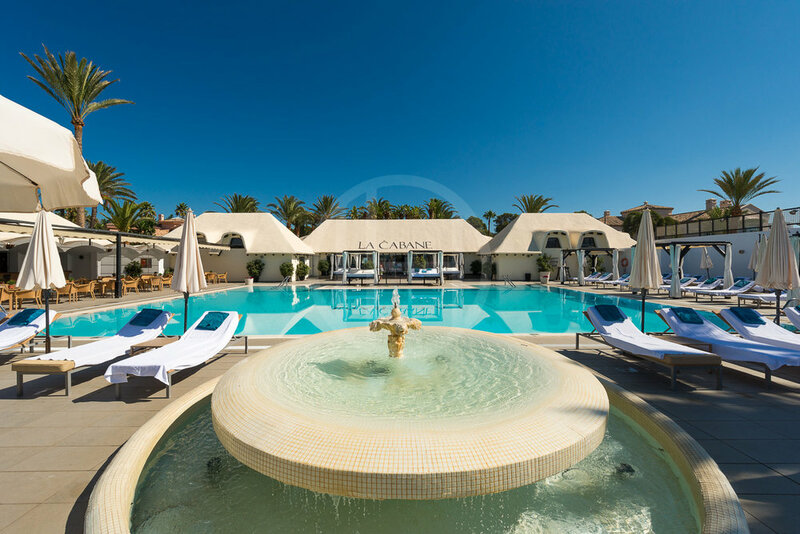 You can sunbathe on one of the individual hammocks or on one of the Bali beds around the pool. La Cabane offers all the amenities of a luxury beach club, welcome reception, towels, fruit kebabs, cold towels and excellent service. For those who want a more exclusive experience, La Cabane has a private VIP area. This is an exclusive service with a bottle of champagne, fruit basket, special amenities, water spray, special VIP card and personalized service. Their claim of having Costa del Sol’s best and most extravagant lunch buffet seems to be valid. It is mouthwatering and breathtaking, and filled with all thinkable delicacies. Treat yourself to an extraordinary meal between sunbathing sessions.